Cyprus copper company claims that they are the saviors of Korkino. And only thanks to tails TOMINSK GOK can "rekultivirovat" section, adding another of the same. But it is not! Will only get worse! Moreover, there are other solutions to this problem. People passing by agreed with me. 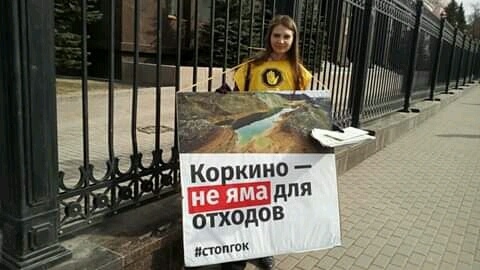 They readily communicated with me and among themselves, left signatures against Tominsk GOK. I felt the unity of Chelyabinsk against Cyprus invaders.